Location perfect for airport . Room clean a little small but adequate for a couple of nights. Reception staff very friendly and helpful. Overall for the price well worth it. I stayed one night while waiting for a plane the following day. Take the 140 bus from Heathrow and you're there in 10 minutes. The night was silent and the bed was comfortable. My room was small but served its function. Very secure, plenty of fire doors etc. Good! Great location as we had a celebration at the White Hart pub. Would have liked a kettle and the coffee machine was out of order. Helpful staff, easy access to Heathrow, comfortable beds. The room was immaculate, comfortable bed, had a very good wifi signal, close to Heathrow airport and excellent value for money. 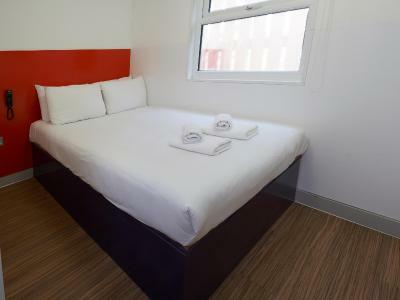 Just a 10-minute drive from terminals 1, 2 and 3 of Heathrow Airport, easyHotel London Heathrow offers budget rooms and on-site parking for a surcharge. Free unlimited WiFi is provided for guests. Heathrow Terminals 4 and 5 are a 15-minute drive away. 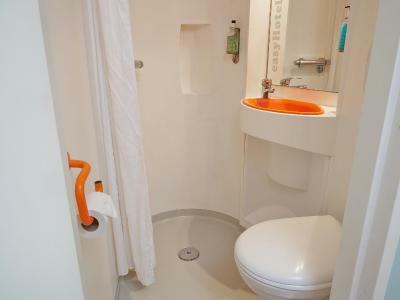 The compact, modern rooms each have a private bathroom and a flat-screen TV. All rooms have a heating and air-cooling system. The easyHotel Heathrow has a 24-hour front desk. An economical taxi service is available on request from reception 24-hours. Prices are subject to the size of the car and distance of journey. There are also vending machines for drinks and snacks. The easyHotel is just over 2 miles from Heathrow Central Railway Station, offering direct services to London Paddington in 15 minutes. 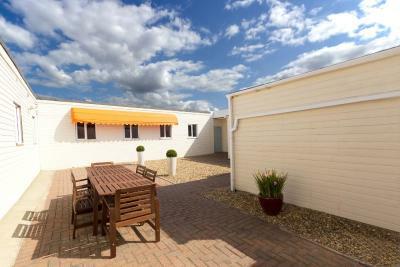 Legoland Windsor is located 30-minutes' drive away, and Stockley Park Business Estate is just 3 miles away. easyHotel London Heathrow has been welcoming Booking.com guests since 9 Jan 2009. 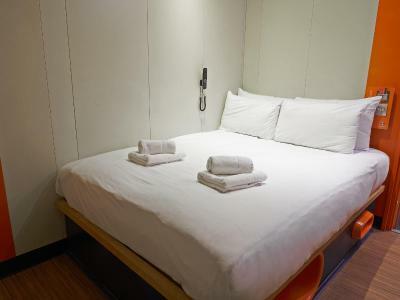 When would you like to stay at easyHotel London Heathrow? This air-conditioned room features a private bathroom and a flat-screen TV. Public parking is possible on site (reservation is not possible) and costs GBP 10 per day. 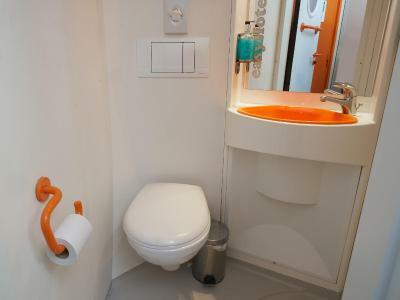 This air-conditioned room features a private bathroom and a flat-screen TV. Most rooms have a view of the surrounding fields. Please note that windows cannot be opened for security reasons. With en suite facilities, this room offers individually controlled air conditioning and a flat-screen TV. Please note that the room's windows cannot be opened due to safety and security reasons. 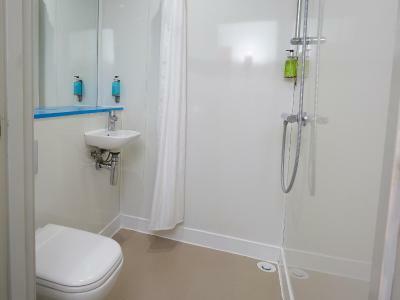 This air-conditioned room features an en suite bathroom, and a flat-screen TV. Please note that the room's windows cannot be opened due to safety and security reasons. This double room features air conditioning. Please note that the room's windows cannot be opened due to safety and security reasons. This double room features air conditioning. Please note, this room is compact in size. 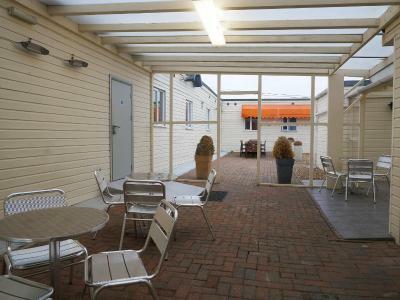 Super budget hotel with "Simple Comfort and Great Value" close to Heathrow Airport. 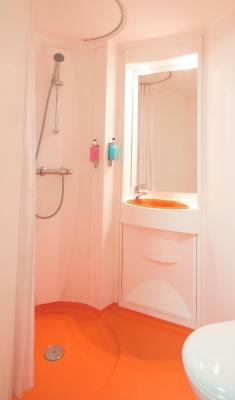 House rules easyHotel London Heathrow takes special requests - add in the next step! easyHotel London Heathrow accepts these cards and reserves the right to temporarily hold an amount prior to arrival. Luggage storage is available for a surcharge. Early check-in and late check-out is available for a surcharge of GBP 15. The earliest check-in possible is 9:30, and the latest possible check-out is 13:00. Please note, booking card details should be the same as guest name, otherwise booking cannot be guaranteed. Parking costs GBP 10 per night per car and is on a first-come, first-served basis. The toilet roll holder was broken, The toilets absolutely tiny. One room had no window, the room I stayed in had a window which had the handle broken off so we could open the window, there was a member of staff doing night shift that was very creepy and weird and kept walking into our room, our room 67 does not lock, we told the man in reception and he said it will get sorted by the time we came back, we came back 6 hours later only to find out our key is useless and you can just walk in no matter who you are. Walls very thin. Vending machine was broken and no coffee. Also it’s £10 parking for each car, it’s not free even though your staying there. The vending machines for coffee & food were not working at the time of my stay. Friendly staff, good WiFi, comfy bed, and a clean room (relatively close to Heathrow). Pretty good. Could have been cleaner. Communal area outside and it was freezing! Kettle. Coffee machine working for a hot drink. I don't like the fact that we have been provided room next to the party room and we couldn't sleep till midnight 😬 We have call the reception to make a complain about the noise!!!!!!!! The room had a smell of mildew and triggered my allergies very severely.